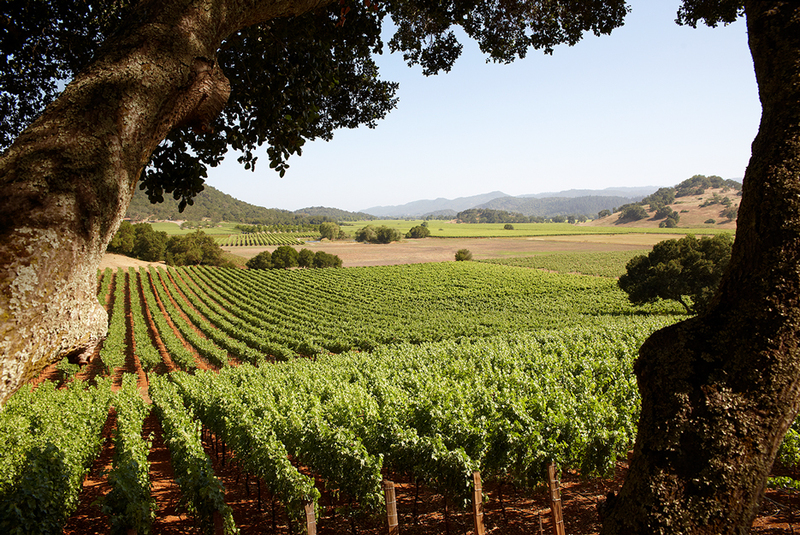 A tour of the best beauty, food, and—of course—wine in Napa and its surroundings, courtesy of Vintner’s Daughter founder April Gargiulo. With roots in the Napa Valley that date back to the 1950s, a vineyard, and a grape-based beauty brand to her name, April Gargiulo is our idea of the perfect wine country tour guide. April and her family are the founders of Gargiulo Vineyards in Oakville, which made its first vintage of Cabernet Sauvignon in 2000. More recently, she launched Vintner’s Daughter, her multitasking, inner glow–inducing serum with a grapeseed oil base and 21 additional carefully selected botanical ingredients (most recently approved by the Violet Code). Manufactured entirely with raw ingredients, not extracts, it is skincare created with a winemaking philosophy. Wine in the blood? We think so. Here, the vivacious Gargiulo hands over her little black book of secret Napa spots (and some not-so-secret musts). Read on for a taste. Meadowood is classic Napa Valley, but it feels like an East Coast outpost. You can play top-notch tennis, golf, and croquet—bring your whites! Bonus: A state-of-the-art spa just opened. There are so many beautiful places to hike in Napa. Many of them are not marked, but if you are driving and see several parked cars in the middle of nowhere, that means a trailhead is close by. Hiking to the top of Mount St. Helena is gorgeous—it’s not for the faint of heart, but the payoff is worth it. On a clear day there are views all the way to the Pacific. By summer more than half of this still-in-progress trail will be complete. When it’s done it will be a 42-mile hiking/biking path that will run up and down the entire Napa Valley, but sections are already open. It’s our version of the New York City High Line, but you can also ride bikes on it and visit wineries and restaurants along the way. This outdoor music festival happens in Napa every year. The music, food, and wine are world class, and it’s not very crowded. It’s like Coachella or Bonnaroo, but smaller and cleaner—and with way better things to eat and drink! Packed with 22 active, organic, or wild-sourced botanical ingredients (including grapeseed oil), April Gargiulo’s serum targets a multitude of skin problems, including redness, aging, and inflammation. A makeup look perfect for a weekend in wine country, as modeled by Liv Tyler.